Every December churches find themselves putting on many carol services and concerts both within the church and in the local community. But the provision of words and music for carols can be problematic. Many hymn books and paper carol sheets often have a limited selection, while specialist choir volumes are too complex for community use. Carols Ancient & Modern aims to full this gap with a comprehensive new selection of carols, published to A&M s high production standards and yet inexpensive and durable. It offers 120 items, combining traditional carols with newer favourites by composers such as John Rutter and Malcolm Archer, plus folk and children s classics like Mary s Boy Child and Little Donkey that rarely get into hymn books. There is also a selection especially suited to small choirs and unaccompanied singers. 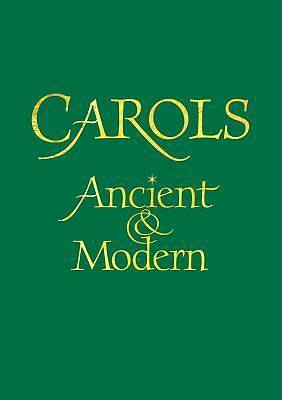 Carols Ancient & Modern will meet the real and varied needs of churches, cathedrals and schools seeking one volume that holds all their Advent and Christmas favourites."